every Tuesday from 11.05am (AET). It was the segment with no name, and it had listeners captivated. Every week we spun a few tracks and talked in-depth about the some of the best music out there. When I moved back to Byron Bay in late 2006, I hoped to rejoin the team at BAY FM, but it wasn't the right time. In my six-year absence things had changed at the beloved community radio station, and so I found myself turning the tuner on my car radio to listen for what else was out there. The ABC North Coast station was okay for local information, but for the coolest mix of music I had heard anywhere in a long, long time, the best place to be was 91.7 FM ABC Coast FM. 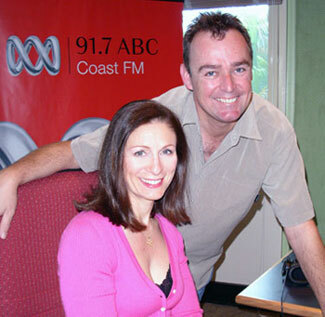 ABC Coast FM services the Tweed Coast in NSW and Queensland, just up the road from Byron Bay, and also the Gold and Sunshine Coasts in Queensland. So it has a huge listener spread. I was instantly taken by the smooth delivery of announcer Trevor Jackson. Trevor had interviewed me for my book, Songwriters Speak, for ABC Coast FM in 2006, and also a year earlier when he was a presenter at ABC Hobart. One day in early 2007 Trevor and I got together for a chat and from there "The Segment With No Name" was born. Co-presenting The Segment With No Name was a great opportunity for me to showcase my knowledge and love of music to a wider audience, and play and talk about some of my favourite artists  Eagles, Chicago, Heart, Ann Wilson to name a few  and expose some rarely heard gems such as Judee Sill, JD Souther, Paula Cole and Modern Folk Quartet. Unfortunately at the end of 2007 Trevor and management decided to completely overhaul their on-air schedule and The Segment With No Name became the segment with no airtime. Which was fine... 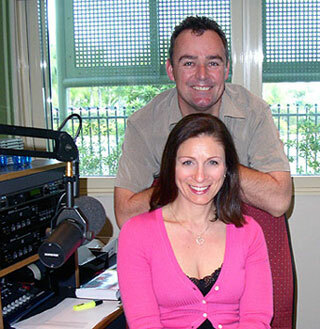 I spent 2008 travelling and renovating my home in Byron Bay, and by the end of that year was back on air at BAY FM. I do have some great recordings from our ABC Coast FM segments, however, and in due course will get excerpts up on this page, so check back some time soon.